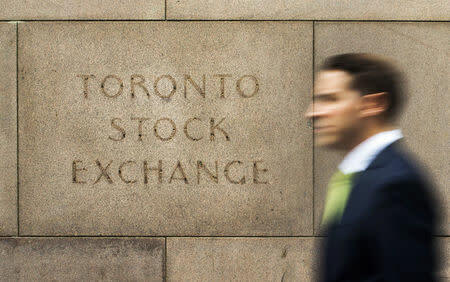 * The Toronto Stock Exchange's S&P/TSX rose 73.25 points, or 0.47 percent, to 15,642.10. * Leading the index were Nuvista Energy Ltd, up 8.6 percent, Aphria Inc, up 7.9 percent, and MEG Energy Corp, higher by 6.3 percent. * Lagging shares were Nexgen Energy Ltd, down 5.7 percent, Yamana Gold Inc, down 5.5 percent, and Pretium Resources Inc, lower by 3.9 percent. * On the TSX 153 issues rose and 82 fell as a 1.9-to-1 ratio favored advancers. There were 10 new highs and no new lows, with total volume of 248.1 million shares. * The most heavily traded shares by volume were Aurora Cannabis Inc, Encana Corp and Aphria Inc.
* The TSX's energy group rose 2.18 points, or 1.49 percent, while the financials sector climbed 2.02 points, or 0.69 percent. * West Texas Intermediate crude futures rose 1.35 percent, or $0.71, to $53.12 a barrel. Brent crude rose 1.54 percent, or $0.95, to $62.46. * The TSX is up 9.2 percent for the year. Is Lamar Advertising Co (LAMR) A Good Stock To Buy?